Cardiff has a lot of awesome stuff going for it. Meetups and communities for entrepreneurs. Meetups and communities for designers. Meetups and communities for web and software developers. Meetups and communities for digital folk. But there’s nothing specific to SEO. Wait for it… Wait foor ittt… Until now! 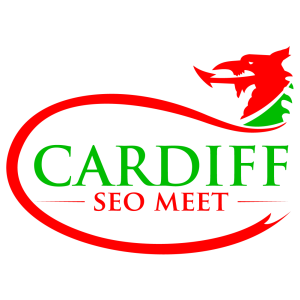 Ladies and gentlemen, I give you: Cardiff SEO Meet. 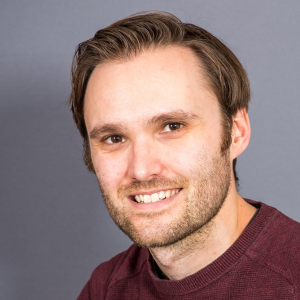 A few months ago I asked about a dozen or so SEOs native to South Wales for their thoughts on running an event of this type (a huge, HUGE thank you to everyone who responded – I owe y’all a drink!) and teased on State of Digital that I would put something together in the beginning of the year. Unfortunately I got pretty busy and couldn’t get anything sorted until now, but better late than never eh? Got questions? Good, ‘cos I’ve got answers! Topic? Err… SEO. Well, SEO and stuff related to SEO, so I’m happy to introduce elements that aren’t strictly SEO but are closely related to SEO, so other digital marketing topics. BrightonSEO started doing this a few years ago and it went down really well. Who’s it for? Everyone is welcome. Whether you’re a part-time or full-time SEO working agency-side, in-house or freelance, or a digital marketer with another specialism (e.g. social media, email marketing, etc.) with an interest in SEO, or a small business owner or blogger who wants to learn a bit about how to do it yourself, I’m hoping that there’ll be something for everyone. I’m going to try my best to balance the talks and topics so that nothing’s too beginner and nothing’s too advanced, so that everyone can get the most out of it. Once a quarter? Why not monthly? Honestly? I don’t know if there’d be the demand for monthly. Plus I don’t want to be a position where I struggle to find speakers for the events (which is what happened to Unified Diff). If I’m wrong though then I’m happy to bring it up to bi-monthly, and then monthly. But let’s see how the first few go first, yeah? Where? The upstairs of the mighty Urban Tap House in Cardiff city centre, which is fairly close to Cardiff Central Station and various car parks (including St David’s 2). I adore their burgers (they even have tasty gluten-free options!) so it’s a delight to be able to host it there. How much? It’s free entry. What’s the format? In addition to talks, I have the idea to run public site reviews, where people volunteer their sites to be audited and we (as the audience) offer advice on what to do. I don’t think anyone’s ever done it before – and I completely realise and admit that that might be because it’s an absolutely horrendous idea…! But we’ll give it a go in May and see how it goes. The survey suggested that a lot of people are interested in the idea, and I think that it’d be a good way to learn a few handy SEO tips as a group. Who are the sponsors? 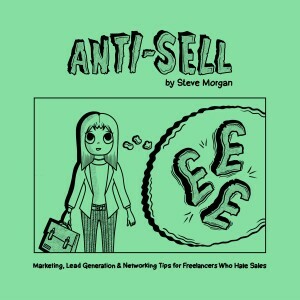 Well, seeing as I’ve set it up and have been paying for all the costs myself… me (or Morgan Online Marketing to be exact). And Computer Recruiter. How do I keep updated? A dedicated website* is on its way (when I have time to throw them together), but in the meantime, please join the Meetup page and/or follow @CardiffSEOMeet on Twitter. HAH! Thanks pal. 😛 See you at the first one hopefully.